Action from the ISSA/Digicel Manning Cup Group D second leg game between Denham Town High and Tivoli High on Tuesday, October 9, 2018 at the Edward Seaga Sports Complex. Denham Town won 5-1. (PHOTOS: Marlon Reid). 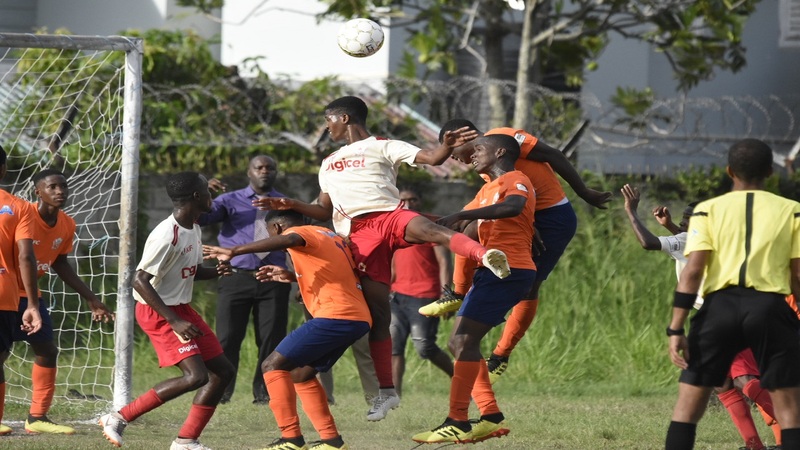 St Jago High became the latest team to qualify for the second round of the 2018 ISSA/Digicel Manning Cup football competition on Match Day 20 on Tuesday. 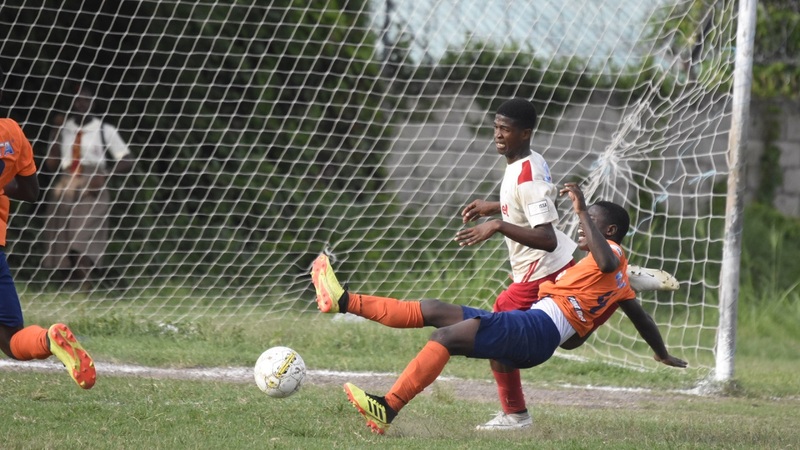 The Spanish Town-based school scored a 1-0 victory over 2001 and 2006 champions Bridgeport High in their Group D second leg fixture to join Denham Town High as the automatic qualifiers from the group with one set of games to play in the preliminary round. Denham Town also secured victory on the day by whipping Tivoli Gardens High 5-1 at the Edward Seaga Sports Complex. 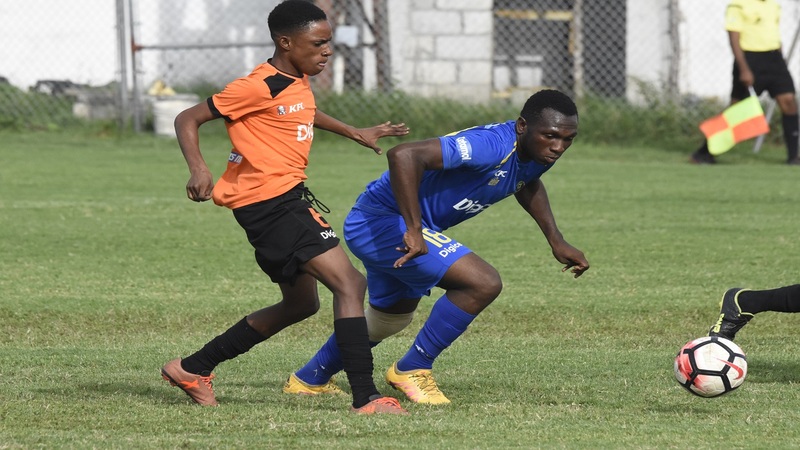 After both teams had failed to score in a fairly lacklustre first half, Nathan Mahoney gave Tivoli a 58th minute lead, but that lasted only two minutes, before Shemar Thompson equalised and that set off a goal spree for Denham Town. 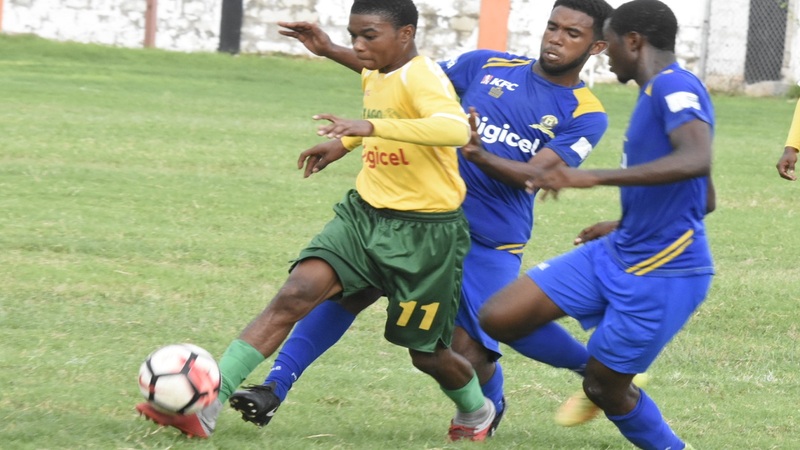 Donald Walters gave Denham Town a 2-1 lead in the 71st minute, with Thompson completing an hat-trick in the 74th and 80th minutes with substitute Patrick James completing the rout in the 90th. Thirteen of the 14 automatic qualifiers have been decided. The automatic qualifiers are St George's College (Group A), Kingston College and Mona High (Group B), Camperdown High and Charlie Smith High (Group C), Denham Town High and St Jago (Group D), St Catherine High and Excelsior High (Group E), five-time defending champions Jamaica College and Hydel High (Group F), Wolmer's Boys and Holy Trinity High (Group F). 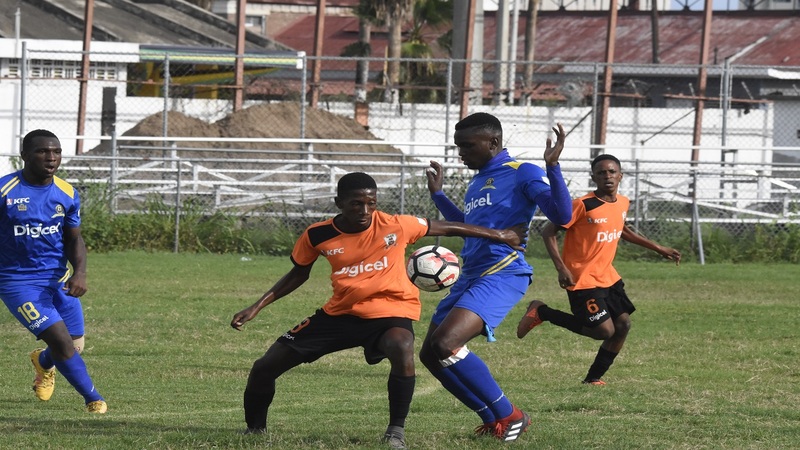 Last year's beaten finalists St Andrew Technical High School (STATHS), Cumberland High and Tarrant High are the teams in contention to complete the list of automatic qualifiers.